De Beers Group is an international corporation that specialises in diamond exploration, diamond mining, diamond retail, diamond trading and industrial diamond manufacturing sectors. The company is currently active in open-pit, large-scale alluvial, coastal and deep sea mining. It operates in 35 countries and mining takes place in Botswana, Namibia, South Africa and Canada. Until the start of the 21st century, De Beers effectively had total control over the diamond market as a monopoly. Competition has since dismantled the complete monopoly, though the De Beers Group still sells approximately 35% of the world's rough diamond production through its global sightholder and auction sales businesses. The company was founded in 1888 by British businessman Cecil Rhodes, who was financed by the South African diamond magnate Alfred Beit and the London-based N M Rothschild & Sons bank. In 1926, Ernest Oppenheimer, an immigrant to Britain and later South Africa who had earlier founded mining company Anglo American plc with American financier J.P. Morgan, was elected to the board of De Beers. He built and consolidated the company's global monopoly over the diamond industry until his death in 1957. During this time, he was involved in a number of controversies, including price fixing and trust behaviour, and was accused of not releasing industrial diamonds for the U.S. war effort during World War II. The name 'De Beers' was derived from the two Dutch settlers and brothers Diederik Arnoldus De Beer (December 25, 1825 – 1878) and Johannes Nicolaas De Beer (December 6, 1830 – June 20, 1883), who owned a South African farm named Vooruitzicht (Dutch for "outlook") near Zandfontein in the Boshof District of Orange Free State. After they discovered diamonds on their land, the increasing demands of the British government forced them to sell their farm on July 31, 1871, to merchant Alfred Johnson Ebden (1820–1908) for £6,600. Vooruitzicht would become the site of the Big Hole and the De Beers mine, two successful diamond mines. Their name, which was given to one of the mines, subsequently became associated with the company. 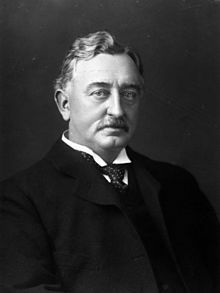 Cecil Rhodes, the founder of the British South Africa Company, got his start by renting water pumps to miners during the diamond rush that started in 1869, when an 83.5 carat diamond called the 'Star of South Africa' was found at Hopetown near the Orange River in South Africa. He invested the profits of this operation into buying up claims of small mining operators, with his operations soon expanding into a separate mining company. He soon secured funding from the Rothschild family, who would finance his business expansion. De Beers Consolidated Mines was formed in 1888 by the merger of the companies of Barney Barnato and Cecil Rhodes, by which time the company was the sole owner of all diamond mining operations in the country. In 1889, Rhodes negotiated a strategic agreement with the London-based Diamond Syndicate, which agreed to purchase a fixed quantity of diamonds at an agreed price, thereby regulating output and maintaining prices. The agreement soon proved to be very successful — for example, during the trade slump of 1891–1892, supply was simply curtailed to maintain the price. Rhodes was concerned about the break-up of the new monopoly, stating to shareholders in 1896 that the company's "only risk is the sudden discovery of new mines, which human nature will work recklessly to the detriment of us all". The Second Boer War proved to be a challenging time for the company. Kimberley was besieged as soon as war broke out, thereby threatening the company's valuable mines. Rhodes personally moved into the city at the onset of the siege in order to put political pressure on the British government to divert military resources towards relieving the siege rather than more strategic war objectives. Despite being at odds with the military, Rhodes placed the full resources of the company at the disposal of the defenders, manufacturing shells, defences, an armoured train and a gun named Long Cecil in the company workshops. In 1898, diamonds were discovered on farms near Pretoria, Transvaal. One led to the discovery of the Premier Mine. The Premier Mine was registered in 1902 and the Cullinan Diamond, the largest rough diamond ever discovered, was found there in 1905. 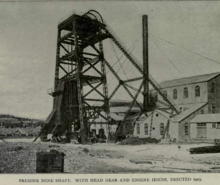 (The Premier Mine was renamed the Cullinan Mine in 2003.) However, its owner refused to join the De Beers cartel. Instead, the mine started selling to a pair of independent dealers named Bernhard and Ernest Oppenheimer, thereby weakening the De Beers stronghold. Francis Oats, who became Chairman of De Beers in 1908, was dismissive of the threats from the Premier mine and the finds in German South West Africa. However, production soon equalled all of the De Beers mines combined. Ernest Oppenheimer was appointed the local agent for the powerful London Syndicate, rising to the position of mayor of Kimberley within 10 years. He understood the core principle that underpinned De Beers' success, stating in 1910 that "common sense tells us that the only way to increase the value of diamonds is to make them scarce, that is to reduce production". During World War I, the Premier mine was finally absorbed into De Beers. When Rhodes died in 1902, De Beers controlled 90% of the world's diamond production. Ernest Oppenheimer took over the chairmanship of the company in 1929, after buying shares and being appointed to the board in 1926. Oppenheimer was very concerned about the discovery of diamonds in 1908 in German South West Africa, fearing that the increased supply would swamp the market and force prices down. Former CIA chief Admiral Stansfield Turner claimed that De Beers restricted US access to industrial diamonds needed for the country's war effort during World War II. In May 1955, Ernest Oppenheimer opened the new headquarters which combined the operations of Anglo American and the De Beers group. After Ernest died in November 1957, he passed on the operations of Anglo and De Beers to his son, Harry Oppenheimer. Under Harry, the company expanded to several different countries around the globe, including Canada, Australia, Malaysia, Portugal, Zambia, and Tanzania. In South Africa, Harry opposed apartheid, arguing that it hindered economic growth. Nevertheless, during the apartheid period De Beers has been criticised for profiting from the system. By 1973, Anglo and De Beers accounted for 10 percent of South Africa's gross national product and 30 percent of the country's exports. Throughout the 1960s and 70s, De Beers attempted to secretly enter the United States diamond market, being forced to divest its American assets in 1975 to avoid the risk of violating anti-trust laws. Harry Oppenheimer stepped down as the chairman and director of Anglo-American and De Beers in December 1982. De Beers used its dominant position through the 20th century to influence the international diamond market. The company used several methods. Firstly, it convinced independent producers to join its single channel monopoly. When that did not work, it flooded the market with diamonds similar to those of producers who refused to join in. It purchased and stockpiled diamonds produced by other manufacturers as well as surplus diamonds in order to control prices by limiting supply. Finally, it bought diamonds when prices fell considerably, such as during the Great Depression. In 2000, the De Beers business model changed because of factors such as the decision by producers in Canada and Australia to distribute diamonds outside the De Beers channel, as well as rising awareness of blood diamonds that forced De Beers to "avoid the risk of bad publicity" by limiting sales to its own mined products. De Beers' market share of rough diamonds fell from as high as 90% in the 1980s to 33% in 2013, because of a more fragmented diamond market bringing greater competition, as well as more transparency and greater liquidity. In November 2011, the Oppenheimer family announced its intention to sell all its 40% stake in De Beers to Anglo American plc, thereby increasing Anglo American's ownership of the company to 85% (the other 15% is owned by the Government of the Republic of Botswana). The transaction was worth £3.2 billion (US$5.1 billion) in cash and ended the Oppenheimer dynasty's 80-year ownership of De Beers. De Beers successfully advertised diamonds to manipulate consumer demand. One of the most effective marketing strategies has been the marketing of diamonds as a symbol of love and commitment. A young copywriter working for N. W. Ayer & Son, Frances Gerety (1916–1999), coined the famous advertising slogan, 'A Diamond is Forever', in 1947. In 2000, Advertising Age magazine named 'A Diamond is Forever' the best advertising slogan of the 20th century. Other successful campaigns include the 'eternity ring' (meant as a symbol of continuing affection and appreciation), the 'trilogy ring' (meant to represent the past, present, and future of a relationship) and the 'right hand ring' (meant to be bought and worn by women as a symbol of independence). De Beers ran television advertisements featuring silhouettes of people wearing diamonds, set to the music of 'Palladio' by Karl Jenkins. The campaign, titled "Shadows and Lights" first ran in the spring of 1993. The song would later inspire a compilation album, 'Diamond Music,' released in 1996, which features the 'Palladio' suite. A 2010 commercial for Verizon Wireless parodied the De Beers spots. In May 2018, De Beers introduced a new brand called "Lightbox" that are made with synthetic diamonds. The synthetic stones start at $200 for a quarter carat to $800 for full carat diamond. The new lab-grown diamond will retail for about one-tenth the cost of naturally occurring diamonds. The new brand will be sold starting in September 2018. Mining in Botswana takes place through the mining company Debswana, a 50–50 joint venture with the Government of the Republic of Botswana. It operates four mines—Jwaneng, Orapa, Letlhakane and Damtshaa, though Damtshaa was put on care and maintenance in 2015. In Namibia, mining is carried out through Namdeb Holdings, a 50–50 joint venture with the Government of the Republic of Namibia. Namdeb Holdings is made up of Debmarine Namibia (covering offshore mining) and Namdeb Diamond Corporation (land-based coastal mining). For offshore mining, motor vessels are used, including the sixth and latest, the N$2.3 billion SS Nujoma, the world's most advanced diamond exploration and sampling vessel, which began full operations in June 2017. De Beers Consolidated Mines is responsible for the De Beers mining in South Africa. It is 74% owned by De Beers and 26% by a broad-based black economic empowerment partner, Ponahalo Investments. There are two mines—Venetia and Voorspoed. In 2008, De Beers began production at the Snap Lake mine in Northwest Territories, Canada; this was the first De Beers mine outside Africa and was Canada's first completely underground diamond mine. However, production was suspended when the mine was put on care and maintenance in 2015. De Beers opened the Victor mine in Ontario, Canada, the same year, a day after Snap Lake. This was followed by the opening of the company's third mine in Canada, Gahcho Kué, in September 2016. Trading of rough diamonds takes place through two channels – De Beers Global Sightholder Sales (GSS) and De Beers Auction Sales. GSS sells about 90% of De Beers' rough diamonds, by value, and features wholly owned and joint venture operations in South Africa (De Beers Sightholder Sales South Africa), Botswana (DTCB), and Namibia (NDTC). They sort, value and sell 33% (2013) of the world's rough diamonds by value. There are two main types of customer for rough diamonds – Sightholders and Accredited Buyers. Sightholders have a term contract. Accredited Buyers (a customer type introduced in 2014–15) have a more ad hoc arrangement. De Beers also sells about 10% of its rough diamonds through online auction sales. The company pioneered the approach in 2008 when it broke with 44 years of direct sales to hold the diamond industry’s first online international auction sale. It is now the world's leader in this kind of auction sale. De Beers employs more than 30,000 people around the globe on five continents, with more than 17,000 employees in Africa. Almost 8,000 people are employed in Botswana, around 6,200 in South Africa, nearly 2,900 in Namibia, some 1,260 in Canada and about 320 in exploration. On 4 November 2011, Anglo American plc and CHL Holdings announced their agreement for Anglo American to acquire an incremental interest in De Beers, increasing Anglo American's 45% shareholding in the world's leading diamond company to 85%. De Beers plc was originally incorporated as De Beers Société Anonyme in 2000 in Luxembourg. Following the closure of this office, the company was reclassified as De Beers plc in 2017, with its head office now in Jersey. It is made up of two shareholdings: Anglo American plc has an 85% shareholding and the Government of the Republic of Botswana owns 15% directly. De Beers plc is the holding company of The De Beers Group of Companies. It is involved in many parts of the diamond value chain, from mining to sales, and is made up of a series of joint ventures and wholly owned operations. The wholly owned operations are in southern Africa and Canada. Also wholly owned are Forevermark, De Beers Jewellers, the International Institute of Diamond Valuation, De Beers Ventures, the International Institute of Diamond Grading & Research and Element Six (Umicore has a 40% stake in Element Six's abrasives division). Forevermark was launched in 2008 as one of the two diamond brands from The De Beers Group of Companies. According to the company website, "Each Forevermark diamond is inscribed with a promise: that it is beautiful, rare and responsibly sourced." Forevermark diamonds are inscribed with an icon and unique identification number, albeit invisibly to the naked eye: the Forevermark inscription is 1/20th of a micron deep. This inscription helps keep Forevermark diamonds distinguishable from synthetic diamonds, which are otherwise identical to mined diamonds, and maintain scarcity: the Forevermark website boasts that only a tiny percentage of diamonds qualify for the Forevermark brand. De Beers Diamond Jewellers (DBDJ) was established in 2001 as a 50:50 joint venture between The De Beers Group of Companies and LVMH, the French luxury goods company. The first De Beers boutique opened in 2002 on London's Old Bond Street as the brand's flagship store. Since then, stores have opened in various cities around the world. In March 2017, The De Beers Group of Companies acquired LVMH's 50% shareholding in DBDJ and new name De Beers Jewellers was unveiled. De Beers Ventures was established by De Beers Group in June 2017 to consider minority stake investments in start-ups and growth companies that could be of benefit to De Beers Group or the broader diamond sector. The International Institute of Diamond Valuation (IIDV) was launched by De Beers Group in March 2016. Operating in partnership with diamond jewellery retailers, it provides a reselling service for all diamonds, regardless of value. The International Institute of Diamond Grading & Research (IIDGR) was set up by De Beers in 2008, with the aim of providing a range of services and equipment in the field of diamond verification. It is based in London, Antwerp and, from 2015, in Surat, India. The IIDGR works only on diamonds that meet the requirements of the United Nations’ World Diamond Council Kimberley Process. In 1999, a campaign by Global Witness to highlight the role of diamonds in international conflicts led to a review by the United Nations. The initial focus of the UN's investigation was on Jonas Savimbi's UNITA movement in Angola, which was found to have bartered uncut diamonds for weaponry despite international economic and diplomatic sanctions being in effect through United Nations Security Council Resolution 1173. In 1999, De Beers Group stopped all outside buying of diamonds in order to guarantee the conflict-free status of their diamonds effective from 26 March 2000. In December 2000, following the recommendations of the Fowler Report, the UN adopted the landmark General Assembly Resolution A/RES/55/56 supporting the creation of an international certification scheme for rough diamonds. By November 2002, negotiations between governments, the international diamond industry, led by De Beers, and civil society organisations resulted in the creation of the Kimberley Process Certification Scheme (KPCS), which sets out the requirements for controlling rough diamond production and trade and became effective in 2003. De Beers states that 100% of the diamonds it now sells are conflict-free and that all De Beers diamonds are purchased in compliance with national law, the Kimberley Process Certification Scheme and its own Diamond Best Practice Principles. The Kimberley process has helped restore the reputation of the industry, as well as eliminating sources of excess supply. In 2018, De Beers used blockchain technology to successfully track 100 high-value diamonds. The diamonds were tracked through the manufacturing process from the mine to the retailer in order to ensure their quality and conflict-free status. In August 2017, De Beers partnered with the Stanford Graduate School of Business to accelerate business ventures to market in Botswana, Namibia, and South Africa. As part of two programs, the partnership is set to help teach early entrepreneurs how to commercialize their business ideas. The partnership is a 3-year, $3 million deal. In September 2017, De Beers partnered with UN Women to help the advancement of women within the company and the countries it operates in. In 2018, the two entities launched a program to support 500 women micro-entrepreneurs in Blouberg and Musina communities, near De Beers’ Venetia diamond mine. In May 2018, De Beers partnered with Element Six to create lab-grown diamonds. In October 2018, Alrosa joined De Beers in piloting the De Beers' blockchain tracking platform Tracr. The platform focuses on ensuring the conflict-free and natural status of diamonds. During World War II, Ernest Oppenheimer attempted to negotiate a way around the Sherman Antitrust Act by proposing that De Beers register a US branch of the Diamond Syndicate Incorporated. In this way, his company could provide the US with the industrial diamonds it desperately sought for the war effort in return for immunity from prosecution after the war; however his proposal was rejected by the US Justice Department when it was discovered that De Beers had no intention of stockpiling any industrial diamonds in the US. In 1945, the Justice Department finally filed an antitrust case against De Beers, but the case was dismissed as the company had no presence on US soil. In Botswana, a long dispute has existed between the interests of the mining company, De Beers, and the San (Bushman) tribe. The San have been facing threats of forceful relocation since 1980s, when the diamond resources were discovered. A campaign was fought in an attempt to bring an end to what the indigenous rights organisation, Survival International, considers to be a genocide of a tribe that has been living in those lands for tens of thousands of years. Several international fashion models, including Iman, Lily Cole and Erin O'Connor, who were previously involved with advertising for the companies' diamonds, supported the campaign. De Beers sold its mine in Botswana to Gem Diamonds in 2007. In 2004, De Beers pled guilty and paid a US$10 million fine to the United States Department of Justice to settle a 1994 charge that De Beers had colluded with General Electric to fix the price of industrial diamonds. In 2008, De Beers agreed to pay US$295 million class-action settlement after accusations of price fixing. The company appealed the decision but ended up paying the settlement in 2013. In February 2006, De Beers entered into legally binding commitments with the European Commission to cease purchasing rough diamonds from Russian mining company Alrosa as of the end of 2008 in order to ensure competition between the two companies. In 2014, the Leverhulme Centre for the Study of Value, based at the University of Manchester, published a report authored by Sarah Bracking and Khadija Sharife, identifying over US$3 billion in price fixing of South African rough diamond trade from 2005 to 2012. The report found significant evidence of profit shifting through volume and value manipulation. Sharife simultaneously published an article  disclosing the political system that cultivated revenue leakage, including the donation of De Beers staff to the State Diamond Trader (SDT). The report, like the article, utilised aggregated data produced by the Kimberley Process (KP) certificates of import-exports, relying on figures listed by the diamond companies themselves, in which De Beers was the dominant player. The South African Department of Mineral Resources (DMR) disclosed that De Beers did not authorise them to publish figures involving values, sales, pricing and other data, preventing transparency of the industry. ^ Anglo American: Year end financial report for the year ending 31 December 2018, February 2018, Retrieved: 15 April 2019. ^ "Mining". De Beers Group. Retrieved 22 December 2014. ^ Chang, So-Young; Heron, Amanda; Kwon, John; Maxwell, Geoff; Rocca, Lodovico; Tarajano, Orestes (Fall 2002). "The Global Diamond Industry" (PDF). Chazen Web Journal of International Business. The Trustees of Columbia University: 2. Retrieved 5 July 2016. ^ "De Beers' market share to rebound, thanks to Gahcho Kue". Mining Markets. 10 July 2014. Retrieved 14 July 2016. ^ Epstein, Edward Jay (1982). The rise and fall of diamonds: the shattering of a brilliant illusion. Simon and Schuster. ^ "New Mining Target: Anglo American". Forbes. 21 August 2006. ^ a b Chilvers, Henry (1939). The Story of De Beers. Cassell. p. 227. ^ a b Janine P. Roberts (2003). Glitter & Greed. The Disinformation Company. ISBN 0-9713942-9-6. Retrieved 27 November 2008. ^ a b Theodor Emanuel Gregory (1977). Ernest Oppenheimer and the Economic Development of Southern Africa. Arno Press. ISBN 9780405097904. Retrieved 27 November 2008. ^ "Anglo American buys Oppenheimer family stake in De Beers for $5.1 billion". Telegraph. Retrieved 10 October 2018. ^ a b "De Beers tracks diamonds through supply chain using blockchain". Reuters. Retrieved 26 September 2018. ^ Jessup, Edward (1979). Ernest Oppenheimer : a study in power. London: Collings. pp. 23–24. ISBN 0860360873. ^ a b Wilson, A.N. (1982). Diamonds : from birth to eternity. Santa Monica, California: Gemological Institute of America. p. 135. ISBN 0873110102. ^ Roberts, Brian (1972). The diamond magnates. London: Hamilton. p. 5. ISBN 0241021774. ^ Chilvers, Henry (1939). The Story of De Beers. Cassell. p. 5. ^ a b c d Tobias Kretschmer (15 October 2003). "De Beers and Beyond:The History of the International Diamond Cartel" (PDF). New York University. Retrieved 25 November 2008. ^ Edward Jay Epstein (1982). The Rise and Fall of Diamonds. Simon and Schuster. ISBN 0-671-41289-2. Retrieved 27 November 2008. ^ a b c Lilian Charlotte Anne Knowles (2005). The Economic Development of the British Overseas Empired. Taylor & Francis. ISBN 0-415-35048-4. ^ Martin Meredith (2007). Diamonds Gold and War. New York: Simon & Schuster, Limited. ISBN 0-7432-8614-6. ^ John Hays Hammond (1974). The Autobiography of John Hays Hammond. Ayer Publishing. p. 205. ISBN 0-405-05913-2. ^ Colin Walter Newbury (1989). The Diamond Ring. Oxford University Press. ISBN 0-19-821775-7. Retrieved 27 November 2008. ^ A Handbook of the Boer War With General Map of South Africa and 18 Sketch Maps and Plans. London and Aldershot: Gale and Polden Ltd. 1910. Retrieved 2 October 2008. ^ Ashe, E. Oliver (1900). Besieged by the Boers; a diary of life and events in Kimberley during the siege (1900). New York: Doubleday, Page & Co.
^ Levinson, Olga (1983). Diamonds in the desert : the story of August Stauch and his times (1st ed.). Cape Town: Tafelberg. p. 3. ISBN 0624019217. ^ a b "Factbox: De Beers past and present". Reuters. 4 November 2011. Retrieved 30 July 2017. ^ a b Tom Zoellner (2007). The Heartless Stone: A Journey Through the World of Diamonds, Deceit, and Desire. McMillan. ISBN 0-312-33970-4. Retrieved 27 November 2008. ^ a b De Beers S.A. Encyclopædia Britannica. ^ Chilvers, Henry (1939). The Story of De Beers. Cassell. p. 310. ^ Corbett, Ali (2002). Diamond Beaches: A History of Oranjemund (Second ed.). Namdeb Diamond Corporation. p. 14. ISBN 0620282886. ^ a b Janine P. Roberts (2003). Glitter & Greed: The Secret World of the Diamond Empire. The Disinformation Company. pp. 115–121. ISBN 0-9713942-9-6. ^ Kanfer, Stefan. The Last Empire: De Beers, Diamonds, and the World. Farrar, Straus and Giroux. p. 265. ISBN 978-0-374-15207-9. ^ Kanfer, Stefan. The Last Empire: De Beers, Diamonds, and the World. Farrar, Straus and Giroux. p. 267-268. ISBN 978-0-374-15207-9. ^ Kanfer, Stefan. The Last Empire: De Beers, Diamonds, and the World. Farrar, Straus and Giroux. p. 291-292. ISBN 978-0-374-15207-9. ^ Kanfer, Stefan. The Last Empire: De Beers, Diamonds, and the World. Farrar, Straus and Giroux. p. 284. ISBN 978-0-374-15207-9. ^ Kanfer, Stefan. The Last Empire: De Beers, Diamonds, and the World. Farrar, Straus and Giroux. p. 316. ISBN 978-0-374-15207-9. ^ Kanfer, Stefan. The Last Empire: De Beers, Diamonds, and the World. Farrar, Straus and Giroux. p. 318. ISBN 978-0-374-15207-9. ^ Kanfer, Stefan. The Last Empire: De Beers, Diamonds, and the World. Farrar, Straus and Giroux. p. 346. ISBN 978-0-374-15207-9. ^ a b Jane S. Lopus (2003). Capstone. National Council on Economic Education. p. 61. ISBN 1-56183-516-1. Retrieved 25 November 2008. ^ a b Campbell R. McConnell, Stanley L. Brue (2005). Economics: Principles, Problems, and Policies. McGraw-Hill Professional. p. 456. ISBN 978-0-07-281935-9. Retrieved 26 November 2008. ^ William Boyes; Michael Melvin (1 January 2012). Microeconomics. Cengage Learning. pp. 219–. ISBN 1-133-71216-9. ^ "Betting on De Beers". The Economist. 12 November 2011. ^ Zimnisky, Paul (6 June 2013). "A Diamond Market No Longer Controlled By De Beers". Kitco Commentary. Kitco. ^ a b "De Beers Analyst and Investor Seminar 2014" (PDF). angloamerican.com. Anglo American. ^ "A diamond heist in Cannes". The Economist. 3 August 2013. Retrieved 2 April 2014. ^ AFP (4 November 2011). "Oppenheimers leave the diamond race with $5bn sale". Mail and Guardian. Retrieved 5 November 2011. ^ "Anglo American gains controlling stake in De Beers". Guardian. 4 November 2011. ^ "Anglo American Ends Oppenheimers' De Beers Dynasty With $5.1 Billion Deal". Bloomberg. 4 November 2011. ^ a b Edward Jay Epstein (February 1982). "Have you ever tried to sell a Diamond?". The Atlantic Monthly. Retrieved 2 November 2010. ^ Cele Otnes, Elizabeth Hafkin Pleck (2003). Cinderella Dreams: The Allure of the Lavish Wedding. University of California Press. pp. 65–66. ISBN 0-520-23661-0. ^ "'A Diamond Is Forever': How Four Words Changed an Industry". Voanews.com. 27 August 2014. Retrieved 28 August 2014. ^ Jessica Michault (28 February 2005). "In a show of power, women raise a glittery right hand". New York Times. Retrieved 2 November 2010. ^ "AdFreak: Verizon does Big Red, De Beers ad parodies". Adweek.blogs.com. Retrieved 17 July 2010. ^ Kottasová, Ivana (29 May 2018). "De Beers admits defeat over man-made diamonds". CNN. Time Warner. Retrieved 30 May 2018. ^ "Debswana". The De Beers Group. 12 August 2009. Retrieved 17 July 2010. ^ "Debswana to Place Damtshaa Mine on Care and Maintenance". minelistings.com. Retrieved 9 October 2017. ^ "Namdeb". The De Beers Group. Retrieved 17 July 2010. ^ "De Beers Consolidated Mines". The De Beers Group. Retrieved 17 July 2010. ^ "Mining: Snap Lake Mine". De Beers Canada. Retrieved 17 July 2010. ^ "Where we operate". debeersgroup.com. The De Beers Group of Companies. ^ Zimnisky, Paul (13 December 2015). "Time To Focus On Diamond Basics". The Mining Journal. ^ "De Beers Canada". The De Beers Group. Retrieved 17 July 2010. ^ "N.W.T. 's Gahcho Kué diamond mine marks grand opening today". CBC News. Retrieved 16 November 2016. ^ "Global Sightholder Sales". debeerssightholder.com. ^ "De Beers Auction Sales". debeersauctionsales.com. ^ "The De Beers Group of Companies". De Beers Group. Retrieved 4 December 2014. ^ "Diamond Trading Company Botswana - DTCB". dtcbotswana.com. ^ "Namdeb Diamond Corporation - On Diamonds We Build. Diamond Mining Company Namibia". namdeb.com. ^ "De Beers Group takes full ownership of De Beers Diamond Jewellers - De Beers Group". www.debeersgroup.com. Retrieved 12 October 2017. ^ a b "Our Brands". De Beers Group. Retrieved 16 January 2015. ^ "De Beers Group takes full ownership of De Beers Diamond Jewellers". De Beers Group. Retrieved 12 July 2017. ^ "De Beers Will Invest in Start-Ups". www.jckonline.com. Retrieved 2 October 2017. ^ "Diamonds.net - De Beers to Invest in Diamond Start-Ups". Retrieved 2 October 2017. ^ "Send your unloved stones to De Beers' used diamond market". New York Post. 16 March 2016. Retrieved 2 October 2017. ^ McKay, David (15 April 2016). "What De Beers thinks of selling granny's diamonds - Miningmx". Miningmx. Retrieved 2 October 2017. ^ "De Beers Launches Limited Third Party Rough Diamond Selling Service". www.idexonline.com. Retrieved 2 October 2017. ^ Michael Fleshman (January 2001). "Targeting 'conflict diamonds' in Africa: Security Council seeks to enforce sanctions against rebels, arms suppliers". UN. ^ "Final Report of the UN Panel of Experts ("The "Fowler Report")". Global Policy Forum. 10 March 2000. Retrieved 20 March 2010. ^ "De Beers: Come Clean to Be Clean". Mail and Guardian via Global Policy Forum. 24 March 2000. Retrieved 21 March 2010. ^ De Beers Group De Beers Report to Stakeholders 2005/6 – Ethics, "Conflict and Instability" De Beers Group. Retrieved 11 February 2007. ^ "FAQs". The De Beers Group. Retrieved 17 July 2010. ^ "Kimberley Process Certification Scheme". UN. 18 May 2004. Retrieved 25 November 2008. ^ "The Kimberley Process (KP)". kimberleyprocess.com. ^ Joe Nocera (8 August 2008). "Diamonds are Forever in Botswana". New York Times. Retrieved 15 March 2010. ^ "De Beers Tracks First Gems From Mine to Shop Using Blockchain". Bloomberg. Retrieved 26 September 2018. ^ "Stanford, De Beers launch $3m African entrepreneurs initiative". Disrupt Africa. Retrieved 26 September 2018. ^ "Stanford Seed partners with De Beers Group in a $3m deal to expand its programs into Southern Africa". Retrieved 6 November 2018. ^ "De Beers partners with Stanford Graduate School of Business to empower youth and entrepreneurs in southern Africa". Retrieved 6 November 2018. ^ "De Beers partners with UN to empower women in its diamond producing countries". Mining. Retrieved 26 September 2018. ^ "De Beers, UN Women to support women micro-entrepreneurs in South Africa". Retrieved 6 November 2018. ^ "De Beers Group plans sales of laboratory-grown diamonds to US consumers". CNBC. Retrieved 26 September 2018. ^ "World's Largest Diamond Producer Alrosa Joins De Beers' Blockchain Pilot". Retrieved 6 November 2018. ^ "Alrosa joins De Beers' Tracr diamond industry blockchain traceability platform". Retrieved 6 November 2018. ^ Edward J Epstein (1982). "18". The Rise and Fall of Diamonds (The Diamond Invention). Simon & Schuster. ^ a b "Bushmen". Survival International. Retrieved 17 July 2010. ^ "De Beers battles with Survival". Telegraph. London. 17 July 2005. Retrieved 23 July 2009. ^ Leithead, Alastair (24 February 2003). "Bushmen 'moved for diamonds'". BBC news. Retrieved 23 July 2009. ^ "Botswana diamonds lose their sparkle". Mail and Guardian. 8 July 2005. Retrieved 23 July 2009. ^ "Kalahari Bushmen win ancestral land case". The Independent. London. 14 December 2006. Retrieved 23 July 2009. ^ "De Beers pleads guilty in price fixing case". Associated Press via MSNBC.com. 13 July 2004. ^ Margaret Webb Pressler (14 July 2004). "DeBeers Pleads to Price-Fixing: Firm Pays $10 million, Can Fully Reenter U.S." Washington Post. Retrieved 26 November 2008. ^ Sherilee Bridge. "De Beers to pay $295m in price-fixing settlement". Mail and Guardian. Retrieved 4 September 2018. ^ John Matarese. "DeBeers Diamond settlement check is in the mail". WCPO Cincinnati. Retrieved 4 September 2018. Edward Jay Epstein (February 1982). "Have you ever tried to sell a Diamond?". The Atlantic Monthly. Retrieved 2 November 2010. Edward J Epstein (1982). "18". The Rise and Fall of Diamonds (The Diamond Invention). Simon & Schuster. Wikimedia Commons has media related to De Beers. Blood diamonds is a term used for a diamond mined in a war zone and sold to finance an insurgency, an invading army's war efforts, or a warlord's activity. The term is used to highlight the negative consequences of the diamond trade in certain areas, or to label an individual diamond as having come from such an area. Diamonds mined during the recent civil wars in Angola, Ivory Coast, Sierra Leone, Liberia, Guinea, and Guinea Bissau have been given the label. The term conflict resource refers to analogous situations involving other natural resources. Harry Frederick Oppenheimer was a prominent South African businessman, industrialist and philanthropist. Oppenheimer was often ranked as one of the wealthiest people in the world. In 2004 he was voted 60th in the SABC3's Great South Africans. Oranjemund is a diamond mining town of 4,000 inhabitants situated in the ǁKaras Region of the extreme southwest of Namibia, on the northern bank of the Orange River mouth at the border to South Africa. The Kimberley Process Certification Scheme (KPCS) is the process established in 2003 to prevent "conflict diamonds" from entering the mainstream rough diamond market by United Nations General Assembly Resolution 55/56 following recommendations in the Fowler Report. The process was set up "to ensure that diamond purchases were not financing violence by rebel movements and their allies seeking to undermine legitimate governments." Sir Ernest Oppenheimer was a diamond and gold mining entrepreneur, financier and philanthropist, who controlled De Beers and founded the Anglo American Corporation of South Africa. Barney Barnato, born Barnet Isaacs, was a British Randlord, one of the entrepreneurs who gained control of diamond mining, and later gold mining, in South Africa from the 1870s. He is perhaps best remembered as being a rival of Cecil Rhodes. Nicholas F. Oppenheimer is a South African billionaire businessman and philanthropist. He was formerly the chairman of De Beers diamond mining company and of its subsidiary, the Diamond Trading Company, and former deputy chairman of Anglo American. He is the third richest African. Alrosa is a Russian group of diamond mining companies that specialize in exploration, mining, manufacture, and sale of diamonds. The company leads the world in diamond mining by volume. Mining takes place in Western Yakutia, the Arkhangelsk region, and Africa. Alrosa is Russia's leading diamond company accounting for 95% of country's diamond production and 27% of the global diamond extraction. Petra Diamonds Ltd is a diamond mining group headquartered in Jersey. It has a diversified portfolio, with interests in eight producing mines in South Africa and Tanzania and an exploration programme in Botswana. Petra Diamonds' focus has shifted from exploration to production, becoming one of the largest independent producers of diamonds in Africa. In June 2012, Petra owns 5 of the world's most productive mines historically. These mines include the Cullinan Diamond Mine famed for having produced the world's largest rough and polished diamond. It is listed on the London Stock Exchange. The Marange diamond fields are an area of widespread small-scale diamond production in Chiadzwa, Mutare West, Zimbabwe. 'Although estimates of the reserves contained in this area vary wildly, some have suggested that it could be home to one of the world's richest diamond deposits'. The hugely prolific fields are regarded by some experts as the world's biggest diamond find in more than a century. Production from Marange is controversial due to ongoing legal wrangles and government crackdowns on illegal miners and allegations of forced labour. In terms of carats produced, the Marange field is the largest diamond producing project in the world, estimated to have produced 16.9 million carats in 2013, or 13% of global rough diamond supply. Marange is estimated to have produced 12.0 million carats in 2012, 8.7 million carats in 2011, and 8.2 million carats in 2010. While some diamond mines produce rough valued at over $1000 per carat, average production at Marange is estimated at under $50 per carat. Francis Oats was a Cornish miner who became chairman of De Beers diamond company. He made extensive investments in the Cornish tin mining industry, which collapsed after he had died. He is known for Porthledden, a mansion he built at the tip of Cornwall.